Happy Birthday! A Penny Black card! 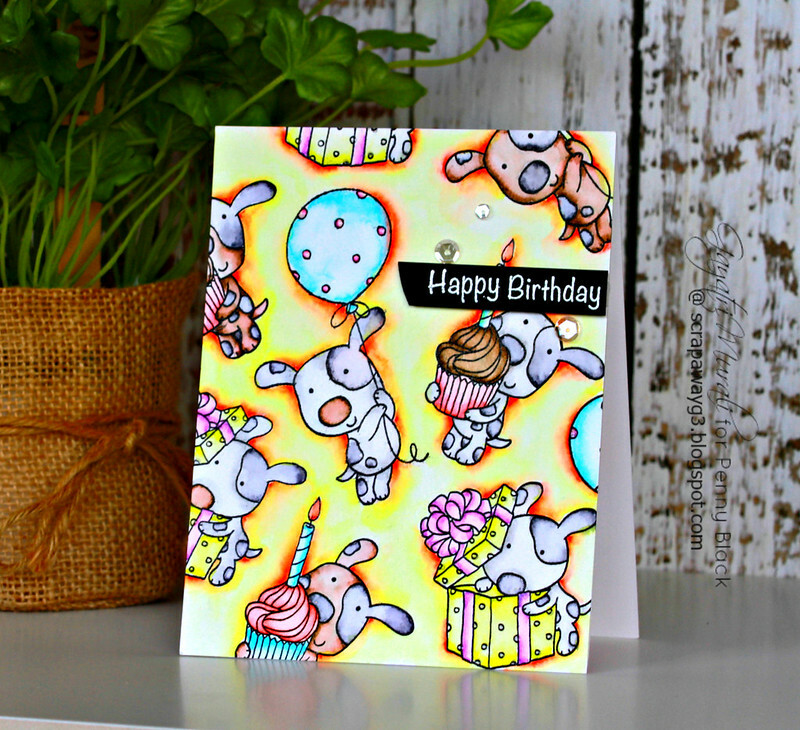 A quick post today sharing a fun birthday card using Penny Black stamp set called Buddy and Duck! I have used Strathmore watercolour paper and black heat embossed the buddy images from the stamp set covering the entire the panel. 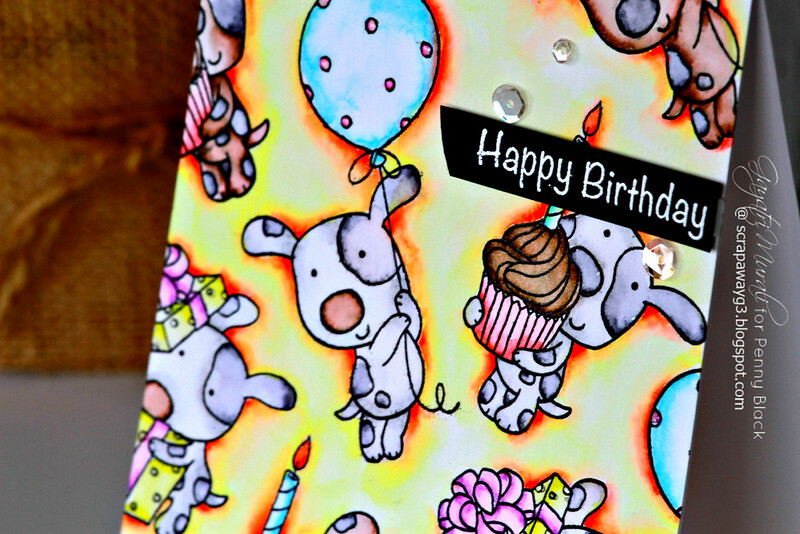 I then used Zig Clean Brush Watercolour Pens to watercolour all the images as well as the background. I LOVE to do such backgrounds especially watercolouring them, They make a huge impact. For the sentiment I white heat embossed the Happy Birthday also from the stamp set on black cardstock, trimmed and adhered using foam adhesive. Then embellished with Pretty Pink Posh Sparkly Clear sequins. Here is the look at Buddy and Duck stamp set from Penny Black! There are so many images in the set and they are so adorable. I LOVE this set very much. adorable card. Great way to use so many of the stamps in the set. Thank you very much for stopping by my blog and leaving the nice comments! Love your coloring! Smiles all around!